Old map by MALLET - Planisphere des Constellations Meridionalles. 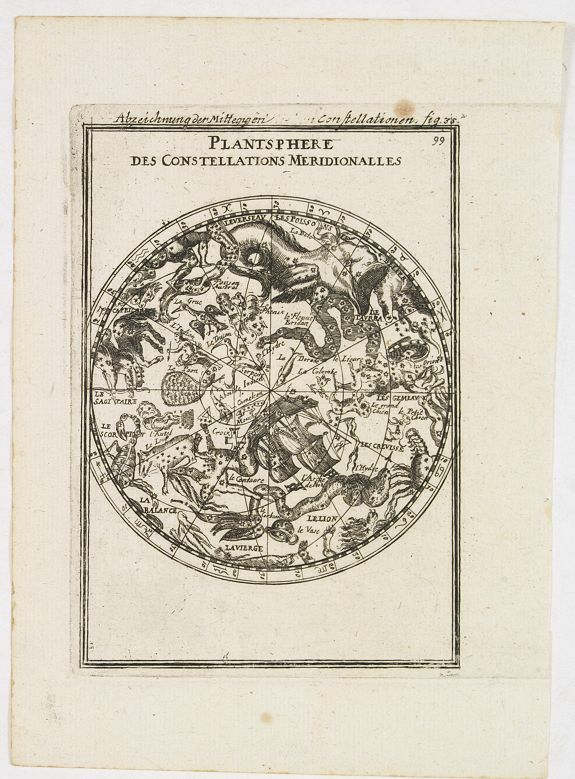 Title: Planisphere des Constellations Meridionalles. 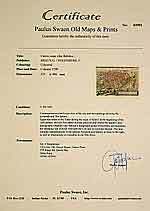 Size: 5.8 x 3.9 inches. Condition: Tiny brown spot affecting the cooper plate. Good condition. A fine celestial map depicting the southern constellations in allegorical form. From the German text edition of Description d'Univers.. (5 volumes), 1683. By Allain Manneson Mallet (1630-1706), a well travelled military engineer and geographer who worked in 17th century France under King Louis XIV.